Staff satisfaction is an integral part of any business’s success because there is a direct correlation between happy employees and happy customers. Not only does keeping staff happy improve your financial bottom line by reducing absenteeism and turnover; it also ensures that your customers experience better service and your business thrives. When your employees love their jobs, it reflects positively on the company as a whole and consumers notice that. The benefits of a happy staff are plentiful. But keeping your staff happy isn’t all about perks and a solid benefits package — there is more to it. 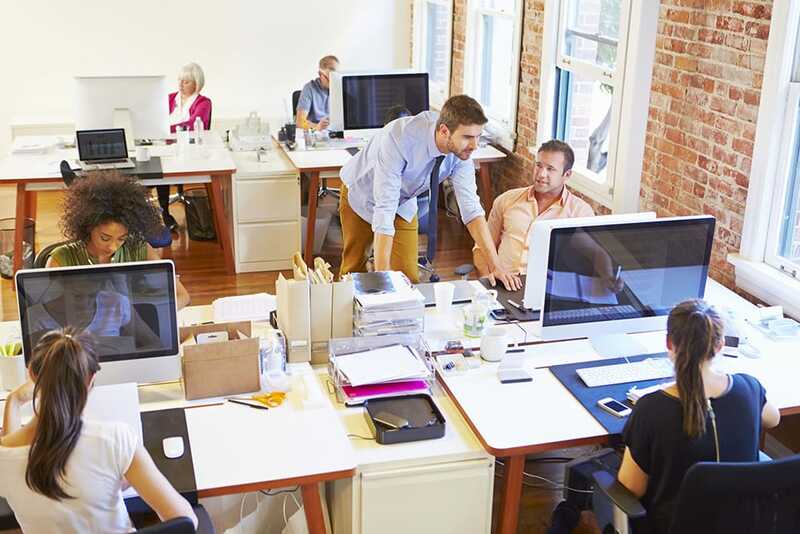 Here are some creative ways to increase staff satisfaction at your company. Employees need to be challenged, but not overwhelmed. As they become more comfortable with their role in the company, it’s important to provide them with opportunities to try new things, expand their skills, and take on more responsibility. Very few employees will enjoy doing the same tasks every day for years on end. Boredom can often cause a decline in work performance. To avoid this, ensure that your employees are given the opportunity to take on increased responsibility or even take on tasks in a different department for a little variety in their professional life. 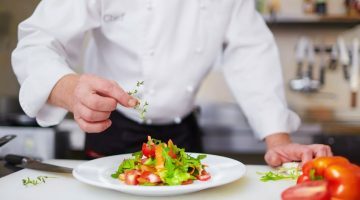 This doesn’t mean giving your staff free reign to hop specialties every year — it’s simply about allowing your employees to prosper and follow their interests, which will make them happier and more engaged at work. Communication is integral to connection and a connected staff is going to be happier. The way your staff communicates with one another and maintains office relationships — both professional and social — is part of your company culture. Consistent, open lines of communication create a more positive work experience for employees. Bosses and managers need to do everything in their power to ensure the team has ample opportunity to connect with one another, both on the job and off. One way to foster increased communication is to use a project management system. Skype chat groups can also create a space for both playful and professional team talk. There are a number of communication tools available to teams of all sizes — you just need to find the one that works for your people. Most importantly, don’t rely on email as your only form of communication. Provide your employees with a list of phone numbers if you must — just don’t expect email to be the vein of connection among your staff. Email is an ineffectual tool for consistent communication and it’s a business owner’s responsibility to provide his or her team with a better option. How do you feel when someone asks for your opinion? Probably respected and recognized. Perhaps even flattered. This is what your employees will feel will you consult them, and it will dramatically increase their satisfaction at work. I am constantly asking my employees for their input. I hired my staff for a reason: they have knowledge and skills that can benefit the company and I trust them. Consulting my staff on important matters demonstrates that trust and makes them feel valued and respected. Employees are much more likely to stay at a company where they have input in higher-level decision making. 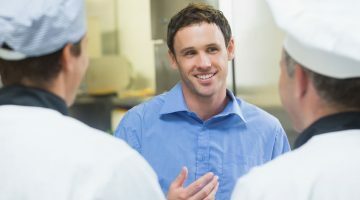 Soliciting regular input from employees will not only please individual staff members, but it will also contribute to a sense of connectedness for the team as a whole. Twelve of my 24 remote staff work out of the Philippines. To infuse company pride and team camaraderie into this large part of my staff, I decided to travel to the Philippines and take those folks on an all-expenses-paid vacation annually. This might sound extreme, but it’s been one of the greatest contributors to staff satisfaction within my company. This once-a-year trip communicates my appreciation for my staff and puts an emphasis on collaboration and teamwork. It’s a major job perk that brings everyone joy. As for local staff, we have fun, too — plenty of company lunches, outings, and retreats. Finding fun, out-of-the-box ways to express your appreciation for your staff will make them happier and more engaged with the company. Performance reviews provide one-on-one time between supervisors and employees. 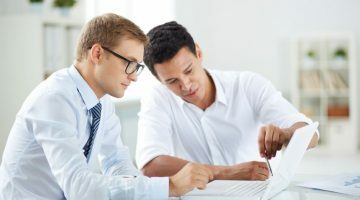 Not only do these private meetings allow you to connect on a more personal level with individual staff, but they also present an opportunity for staff to provide feedback for their supervisors. This information will give you an overall picture of how your company team is working together; it also provides you with valuable insight about your staff’s level of satisfaction and how you can improve it. 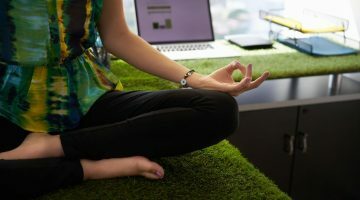 The more attuned you are to the relationships within your company, the more you can do to keep spirits high and provide your staff with the right type of support. Performance reviews don’t have to be limited to meetings between you and your employees. The peer review system gives colleagues an opportunity to connect, encourage each other, express concerns, and offer support. And, of course, bosses should always solicit constructive advice on how they can improve their performance, too. Retreats and other fun events don’t always have to be scheduled weeks in advance. Try to surprise your staff with an afternoon off or a nice catered lunch. This demonstrates that you’re thankful for them all the time. Spontaneity at work can go a long way to keeping your employees happy and satisfied with their jobs. Yet another way to recognize and celebrate your employees is by offering help with their professional growth. 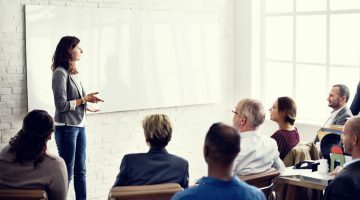 Management often neglects professional development opportunities for staff, but providing opportunities for your employees has a number of benefits. Scheduling training sessions, conferences, and other professional development events will show your staff that the company cares about their future and wants to support their career. This will translate into happier, more loyal employees at all levels. To attract and maintain the best talent, your company needs to be a happy and enjoyable place to work. These suggestions will keep your current staff smiling and also help you to draw in new, capable folks for your team.